This chapter examines the phenomenon of deferments of army enlistment in Israel of haredi (ultra-Orthodox) men studying in yeshivas. The author claims that counter-nationalist argument enables us to understand the progress that the haredi scholar-society has made from a sectorial entity that kept itself removed from the nation-state, and viewed the state as an undesired political fact, to an entity that maintains its own counter-nationalism. This social cultural religious entity regards itself as a symbiotic or active partner in the national endeavor, specifically through the insular haredi ethos. 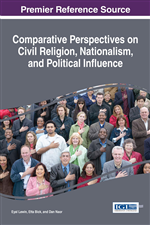 The author employs the term counter-nationalism to describe an approach that takes a critical view of nationalism, but has in effect adapted it to the structure of the discourse, organization, and aims of the hegemonic national ideology. This perspective raises the possibility that the ultra-Orthodox are beginning to view themselves as maintaining a complementary partnership with the Israeli culture, and to a considerable extent have even constructed a similar cultural structure, a sort of mirror-image of the militaristic one. Moreover, this study even suggests that the haredi mainstream seeks recognition for itself as the spiritual elite troops of the State of Israel. Haredism is an ultra-Orthodox Jewish religious ideology shared by hundreds of thousands of fervently religious Jews, who seek to protect themselves by means of its principles from the influences of the processes of modernization and secularization. Israel is one of the largest centers of haredi society, and here it developed as an insular scholar society within the broader Israeli society. Sociologist Menachem Friedman defines haredi (ultra-Orthodox) society in Israel as a “scholar society”, meaning that it is organized around an ethos of study of the Torah – specifically, the Talmud and its commentaries - in institutions known as “yeshivot” [singular: 'yeshiva', meaning 'sitting', since students sit and study Torah] (Friedman, 1991). This form of social organization rests on a clear separation of gender roles: the man is meant to study Torah; the woman is meant to aid him by supporting the family. It also rests upon a series of political agreements between the state and the haredi leadership concerning deferment of IDF enlistment, with many very significant social and economic ramifications. On the face of it, the haredi position harbors profound reservations with regard to the IDF as an organ of the Israeli nation-state. Army life is regarded as antithetical to the unique haredi way of life – whether because it lies outside the reach of rabbinical supervision or because of its image as representing the opposite of the spiritual aspirations of the scholar society. More generally, enlistment in the IDF represents a sort of de jure recognition of the Zionist enterprise and its secular world-view. Over the years, academic research and part of the public discourse in Israel has come around to the fact that haredi perceptions of Israeli nationalism and its symbols and institutions is more complex and nuanced. There are counter-nationalist currents in the haredi world-view, as well as in haredi practice, indicating processes of imitation and a symbiotic dynamic. Specifically, as we shall argue, there are elements in the scholar society that not only view its religious study as a spiritual contribution to the national collective, but also describe its endeavor in terms that reflect an imagined militarist symbiosis. The thesis presented here is based on initial insights arising from an ongoing field study among students of a “Lithuanian” (non-hassidic) haredi yeshiva, which views postponement of army enlistment as an integral part of its world-view, system of values, and attitude towards the state. The nature of field work formulated as ethnography is that it relies on what one might refer to as “ethnographic capital” – in other words, a series of observations, impressions, and conversations accumulated over a long period. In the present instance, these were interspersed with in-depth interviews (a total of 11) with students and teachers at the yeshiva. The unmediated contact with the world of this Lithuanian yeshiva, which is not a marginal or exceptional one in haredi society, helped me to formulate some of the insights that appear here in somewhat condensed form. It is difficult to say how prevalent these insights are amongst haredi society: I have no reliable statistics in this regard, nor was this my aim. It is certainly agreed that qualitative research methods in social sciences do not pretend to offer a representative sample of public opinion. These methods test the meanings and interpretations of different phenomena and voices that are surveyed. The views I encountered provided evidence of the power of the structuring, framing and diffusion of nationalist and militarist discourse amongst Israeli society, and of its power if not to create real symbiosis then at least to imagine it. The body of the article is divided into three parts. The first discusses the concepts that form the background to the claim: haredism, counter-nationalism, and – as a test case of counter-nationalism – the question of militarism. The second part of the article presents some historical background to the question of enlistment of the ultra-Orthodox in Israel, as well as the relatively recent absorption of some graduates of haredi yeshivot in specialized IDF units. The third part examines the issue of army enlistment within the counter-nationalist position developed by the ultra-Orthodox scholar society, as expressed in the discourse among students at these yeshivot.